Wall Street’s recent recovery from the hiding it took in December hit a snag in the last trading week, as the same old issues reared their slightly off-putting heads again. 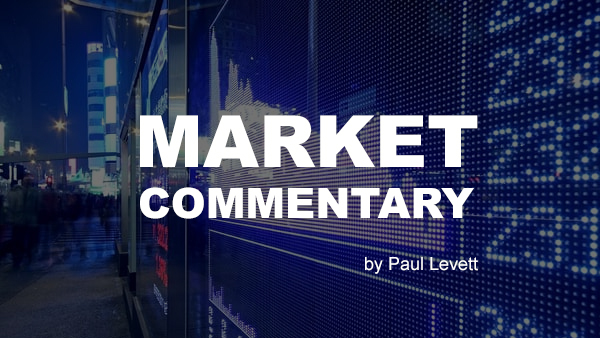 It was hardly a terrible week though as the S&P500 still managed to eke out a 0.1% gain, largely thanks to a last-minute rally heading into the close on Friday. The late spike, mainly on the back of the technology sector, also halted what would have been a three-day losing streak for the benchmark index, as it sneaked away with a 0.7% session win. The ongoing trade tango with China caused most of the concern, as the White House announced that Trump would probably not have a chance to meet with China’s President Xi before March 2. The date when the 90-day truce on tariffs comes to an end. After March 2, duties on approximately $200 billion worth of Chinese goods rise from 10% to 25%, which will add to concerns of a general slowing down of the world economy. As it currently stands the two countries seem a long way off coming to any sort of agreement. The White House National Economic Council Director, ex-CNBC television host, Larry Kudlow says, “there is still a pretty sizable distance to go” before the two parties reach a deal. While the Wall St Journal also reported on Friday that the two sides have yet to even draft an accord stating what their disagreement actually entails. Of all the issues currently facing US markets, this is the one issue that the White House has the most control over. They can’t do anything about Brexit – that’s up the UK and Europe to sort out. They can’t really do much about interest rates -as the Federal Reserve is an independent body that doesn’t take kindly to government intervention. What they can do is attempt to provide a stable economy – at home and abroad. Let’s hope common sense prevails. March could be a cracker of a month for stock markets if the US and China get this right. A strong economy generally leads to strong company balance sheets, and as peak earnings season continues we are getting some pretty mixed results so far. Up until last Friday, we have had 66.2% of S&P500 companies report their earnings. Of these, 71.5% have beaten expectations, which is above the 64% historical average, but below the 78% average over the last four quarters. Last week Disney (DIS) beat market expectations on profit and revenue after strong results from its media networks and theme parks. Google parent Alphabet (GOOGL) also impressed and increased its stock buyback plans from $8.6 billion to $12.5 billion. On the fast food front, we had Chipotle Mexican Grill (CMG) jump after surprising with strong earnings. While YUM Brands (YUM) the owner of KFC, Pizza Hut, and Taco Bell disappointed. And in the battle of the social media stocks, there was a clear winner and loser. Snapchat (SNAP) smashed expectations and jumped a hefty 22%, while Twitter (TWTR) also beat expectations but offered up disappointing Q1 guidance and lost 10%. Earnings in the coming week will see a renewal of the age-old battle between Coke (KO) and Pepsi (PEP), and the first real earnings for pot stocks since Canada legalised the drug in October last year. Two of the biggest cannabis stocks in the business, Aurora (ACB) and Canopy Growth (WEED, CGC) report this week. Talks of pot shortages and supply chain issues have dominated chatter in recent times. Governments have blamed the companies, while the companies have blamed licensing backlogs and small initial orders from provinces. Regardless, pot stocks have been “on fire” in January, after coming off their highs in the December stock market rout. These early results from Aurora and Canopy Growth will create a clearer picture for investors on where this sector is headed. It’s obvious the new segment has loads of potential. Canada is now fully legalised. The US has legalised hemp-based products and the product is legal to use in roughly two-thirds of US states. And worldwide there is a growing realisation that cannabis legalisation provides social benefits – especially when taking potential government revenue into consideration. But it will take time for these companies to begin to take full advantage. All the big players are currently scrambling to increase production to gain as much of the growing market share as possible. There will be big initial outlays in the hope of taking advantage later on. It’s still early on in proceedings, which gives us as investors time to sort ourselves out and get into our positions. So what will we learn from pot earnings this week? Well, it’s complex. You certainly wouldn’t want to be indulging in the product when trying to sift through the numbers. We know that revenue will be up. So will expenditure. Profit, however, will be trickier to ascertain. Weed is an agricultural product, and as such, each company has to estimate how much its crop is worth. To do this they have to be continually changing crop values through each of the growing cycles, from a growing, flowering, harvesting and processing stage – and then adjusting this, of course, to the current going price for pot. As you can see it gets tricky, and it leaves lots of room for some creative accounting. Aurora and Canopy Growth both either own or have part holdings in a lot of the smaller weed companies in the market. If their stock prices were down in the last quarter of 2018, like most of the market was, this will affect their value. Of course, the losses will be only on paper, and most would have bounced back a fair way already, but it will need to be accounted for. At this stage, I wouldn’t be too concerned with the balance sheets. I want to see who has been ramping up production without throwing too much money away. As many clients know Canopy Growth has been a favourite of ours at Capital 19 for a few years now. And personally, I would be leaning towards it. But getting a piece of any of the bigger players like Aurora, Tilray (TIL), and Cronos (CRON) will see profits as the whole segment rises. And don’t forget there are also ETF’s which cover the sector. Here you can avoid the risk of investing in one or two stocks, and instead get a slice of a whole raft of companies in the sector with one investment. The ETFMG Alternative Harvest ETF (MJ) is the largest, although it branches out of pot stocks and holds quite a large percentage of its holding in Tobacco companies. Horizons Marijuana Life Sciences ETF (HMMJ) is another and buys stocks which are involved in medical marijuana bioengineering and production. If you see some falls in pot stock prices over the next week or two it may just be the ideal time to get on board. Then just sit back, relax, and see how “high” the segment can go. Data wise this week it will be all eyes on the inflation numbers. The Consumer price index and Core CPI for January come out before the market opens on Wednesday and it will be a story of the good news is bad news type that we spoke about last week. A low number will see stock markets move higher as the chance of a rate rise is contained and even brings in the possibility of a cut. A high number will have the opposite effect. Negotiations are also continuing over the debt ceiling, the border wall, and immigration policies. With no real changes in position from either the Democrats or Trump since the last Government Shutdown was postponed, we’re likely to be back at the same starting point come Friday. I don’t expect this will have much impact on the direction of the market, however. Not yet anyway. If we see it continue for over a month, like it did last time, it could start to create problems for the economy. All in all, it should be an interesting week ahead. Take a look below for some earnings highlights and the rest of the economic data releases. And a short reminder that next Monday the US markets are closed for Washington’s Birthday. Tuesday: NFIB small business index, Job openings, Household credit. Wednesday: Consumer price index, Core CPI, Federal Budget. Thursday: Weekly jobless claims, Retail sales, Producer price index, Business Inventories. Friday: Retail sales, Import price index, Empire state index, Industrial production, consumer sentiment index.